MACNAK Construction is well versed in Design‐Build project delivery. Through MACNAK Construction’s teamwork and strong initiative, we have completed jobs from the very beginning of the project through to the end. MACNAK Construction has successfully completed over 50 Design-Build projects ranging from $100,000 to $30M. MACNAK Construction is home to immense talent. 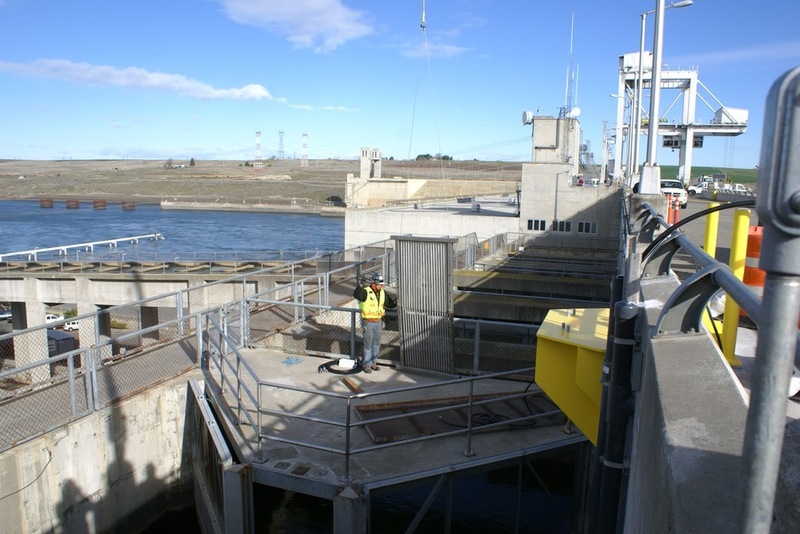 Our Project Managers and team of support staff and field crews look to serve and work with clients regardless of the challenges presented for a project. MACNAK Construction staff are talented and skilled professionals, and are able to see from all viewpoints when working on a design-build project. We utilize seamless, continuous, and transparent communication between our customers and our management teams to significantly impact our success. Design-Build projects offer their own set of challenges and opportunities. MACNAK Construction focuses on strong communication to not only complete these projects, but to exceed our Clients expectations. 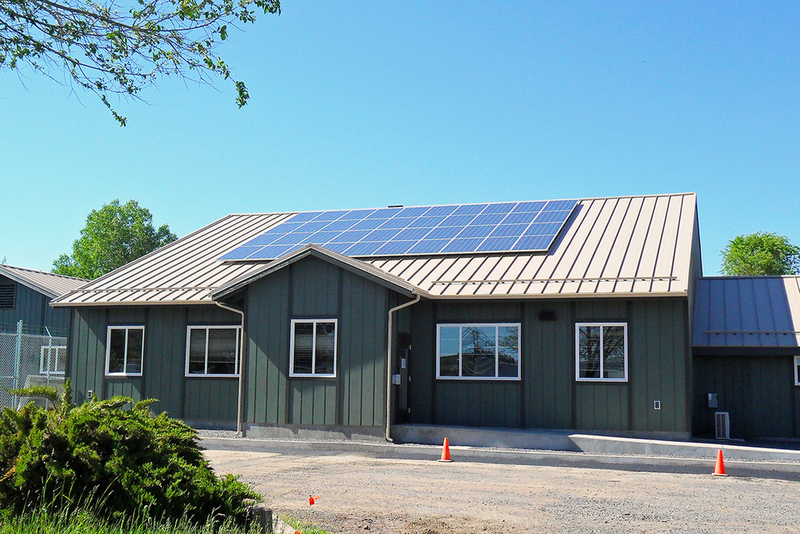 This project constructs a 3360 SF building addition, in between and attached to, two existing buildings on the Emigrant Creek Ranger District Administrative Site. Work includes all phases of construction for the addition, including but not limited to site work, concrete, rough carpentry, finish carpentry, plumbing, mechanical, electrical, painting and roofing, fire alarm system and access control system on the doors. In addition, work includes roofing, window, painting and flooring upgrades on portions of the existing two structures. The dormitory at Cannon Air Force Base uses a highly aesthetic, low-maintenance, smooth and split-faced concrete masonry and stucco to match existing dormitory buildings. We used a Colonial Red color standing seam roof to define the roof envelope and minimize the heat island effect. That's a big part of building green and meeting USGBC sustainable LEED construction criteria. We partnered with The Korte Company for this project. In this Design-Build project, we delivered an addition and alterations to four existing Army Reserve Center (ARC) buildings at Ft. Wadsworth on Staten Island, NY. Our work included a 36,500-square-foot ARC training building alteration, a 3,000-square-foot ARC training building addition, a 6,000-square-foot alteration to the maintenance building, a 3,000-square-foot alteration of the unheated storage area, and the construction of a 5,950-square-foot area for organizational parking. We partnered with The Korte Company for this project. As a joint venture, we earned a contract to deliver the Design-Build construction of this 300-member Army Reserve Center (ARC) in Las Vegas, Nevada. The ARC includes a 37,000-square-foot training building, a 21,000-square-foot Area Maintenance Support Activity (AMSA) / Organizational Maintenance Shop (OMS), and approximately 4,100 square feet of Unheated Storage (UHS).We partnered with The Korte Company for this project. Prior to construction of the 18,629 square foot dental clinic, this project required the demolition of nine (9) buildings which were each 2,500 square feet. The overall design emphasizes an environment focused on patient and staff safety, and approach that minimizes risks and improves outcome as stated by the Joint Commission and the Environment of Care. The facility was delivered on-time in 2014 and was awarded USGBC-Certified LEED Silver. We partnered with The Korte Company for this project. We earned a selection by the U.S. Army Corps of Engineers, Los Angeles District to design and build a three-story, 240-person dormitory on Nellis Air Force Base in Nevada. The estimated 85,250-square-foot facility will include 60 four-bedroom units, each with its own kitchen, laundry and living room space. The project also includes recreational grounds, landscaping, parking and utilities. And this is a green build, as we're designing and building this dorm to USGBC LEED Silver certification standards. We partnered with The Korte Company for this project. Our team was selected by the U.S. Army Corps of Engineers, Sacramento District, to design and build a 43,000-square-foot operations facility at Beale Air Force Base. The project is a single-story building that will house six task-specific areas, including a wood and metal shop. We partnered with The Korte Company for this project. The 51,129 square foot, three-story dormitory was the third facility constructed on the Base to complete the Dormitory Campus design initiative. The building is arranged in a very efficient, three-story, open courtyard, linear configuration with a central core area, which includes the main building support areas and common gathering area. The facility achieved LEED Silver Certification from the USGBC. We partnered with The Korte Company for this project. Design-Build contract for the design and construction of the Air Support Operations Center (ASOC) at Fort Campbell, Kentucky. The 22,458-square-foot expansion will serve the Air Support Operations Squadron at Fort Campbell and contain functional areas, including Flight Operations and Flight Simulation Areas. We partnered with The Korte Company for this project.